Thank You for "Beeing" the Difference at CCHAT Uncorked 2019 and Helping CCHAT Raise $90,000! Meet families & witness CCHAT firsthand. Find out if your child is hard of hearing. Discover if CCHAT is a good fit for your child. Stay Up to Date With CCHAT! See our latest blog posts and register for our upcoming events. Thank you to everyone who attended CCHAT Uncorked 2019 and "Beeing" the Difference to help us raise $90,000! The annual Big Day of Giving event is almost upon us! This year's special 24-hour online giving challenge will take place Thursday, May 2nd and is CCHAT's 5th year participating. We've set a goal of $50,000 and need your help to get there! 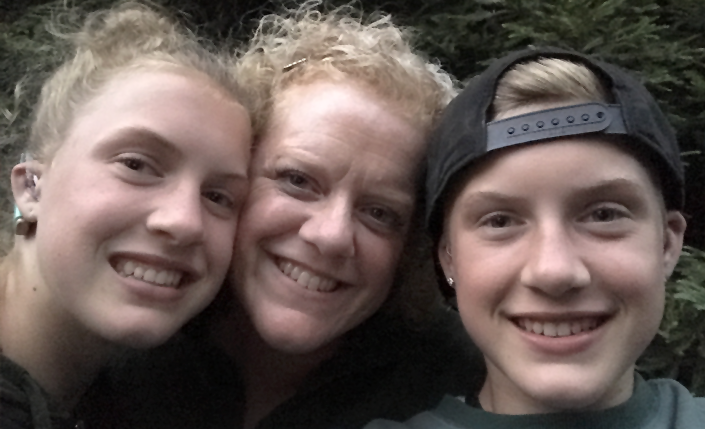 Finding family balance is difficult for every parent, but especially for those with a child with hearing loss. We’ve outlined ways to help make finding that balance easier. Next Video: SMUD Comes to CCHAT! Next Video: The Preschool Class at CCHAT Gets Patriotic! The Preschool Class at CCHAT Gets Patriotic! CCHAT’s hearing programs are designed to help your child communicate with confidence and clarity. Start laying the foundation for your newborn’s education with our weekly listening, speaking, and comprehension lessons. 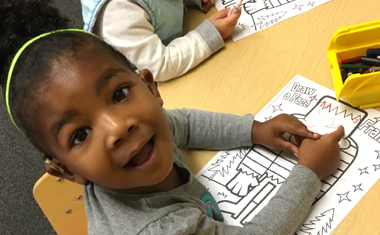 Our preschool programs can help unlock your child’s natural curiosity through carefully designed speech-language games and lessons. With small class sizes, personalized attention, and state-approved curricula, your child can master lifelong communication skills. We Have Experience. We Understand. Twins sisters, Kendall and Kolby, were diagnosed as profoundly deaf shortly after birth. 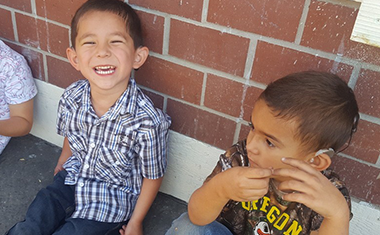 At 4 months, they enrolled in CCHAT, where they began learning critical speaking, listening, and learning skills. Kendall and Kolby started mainstream preschool at 4.5 years. And today, both are honors high school students who play sports, ride horseback, and sing in the choir. Parental involvement is a core component of CCHAT’s curriculum. Discovering your child is deaf or hard of hearing can be a shock. But through our active community of parents, you can get the help and support you need. From guest speakers to guided tours to panel discussions, we provide countless ways to remain involved with your child's development. Do you teach English only? No, we can speak and teach in both English and Spanish. How much does CCHAT cost? 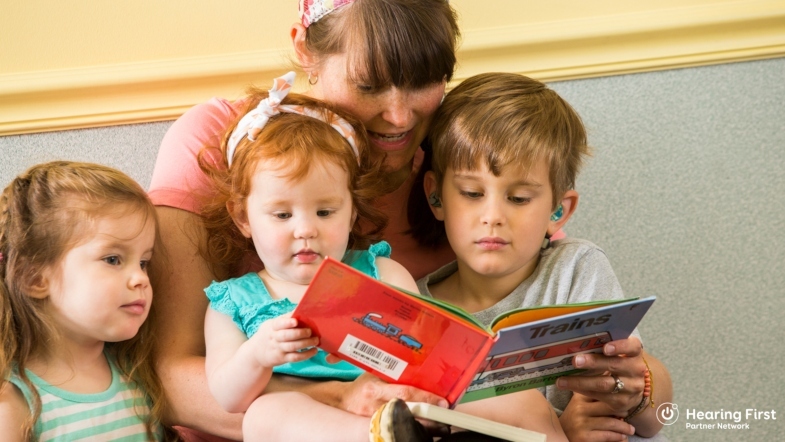 Our services, including the diagnostic hearing exam, are provided at no charge for children who are deaf or hard of hearing and their families. Is my child eligible for CCHAT? 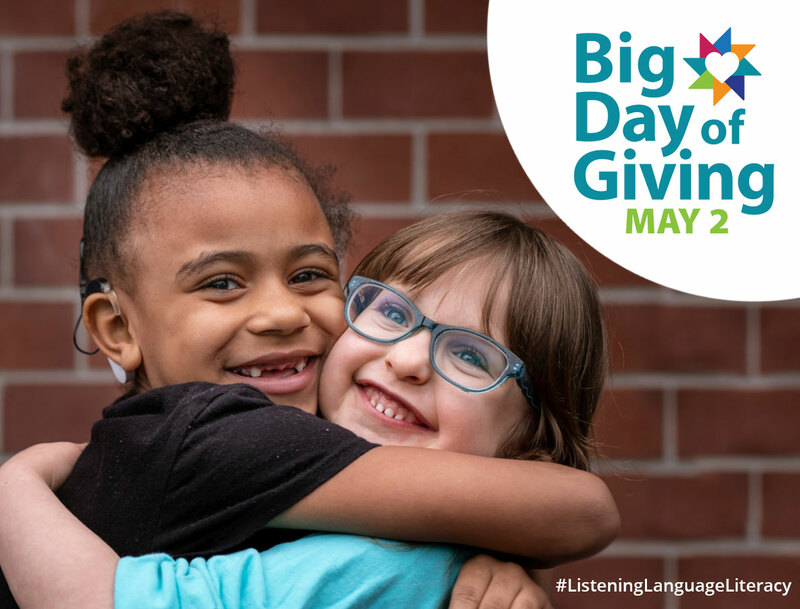 A child with hearing impairment desiring a listening and spoken language approach can enroll in our program. Is sign language the only option? No. Children who are deaf or hard of hearing can learn spoken language. What if my child is 3+ years old? Even though we recommend early intervention, it’s never too late to enroll your child in our program. Will it make a difference if I wait? There is a small window of opportunity to correct the problem. And getting help between 0-3 years of age is critical. CCHAT services are provided at no charge to the families and children receiving them. And with your generous support, we can keep it that way.